I took my 13 year old Grandson (who lives in MD) to the Santa Cruz Beach Boardwalk for the day. While he spent the day on the rides, I wandered around with my 20 month old Granddaughter. It’s so fascinating to see the excitement of the boardwalk through her eyes. 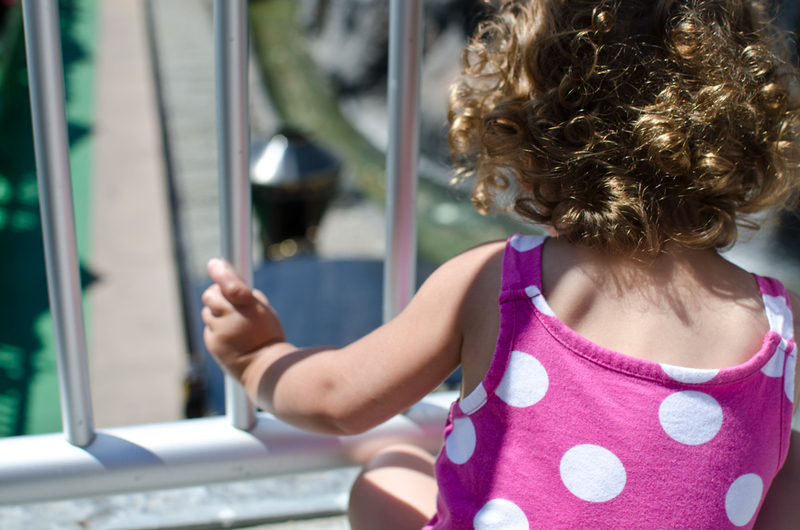 She saw the mini-train and was so completely enthralled by it. She stood here on the bridge watching it for the longest time. Unfortunately, I couldn’t take her on it as I had her and the stroller and all our stuff to take care of. She didn’t seem to mind though, as she just soaked up the experience visually.